Bob: Most victims of domestic violence never say anything to anyone about what they’re experiencing, and Dr. Ramona Probasco says there’s a reason for that. Ramona: It is so frightening to share this, because remember—Dr. Jekyll/Mr. Hyde—so in public, everything looks rosy. You’re afraid whoever you share this with is not going to believe you, because it doesn’t look like it. So believe them—that’s the best and greatest gift you can give someone who exercised the courage—believe their story. Bob: This is FamilyLife Today for Tuesday, December 4th. Our host is Dennis Rainey, and I'm Bob Lepine. So how can someone in a relationship, where there is domestic violence, get the help they need? We’ll talk more about that today with Dr. Ramona Probasco. Stay with us. We often say, on FamilyLife Today,that we want to provide help and hope—practical biblical help and hope for marriages and families—and that’s at the heart of what we’re talking about this week. Dennis: It is. We have with us Dr. Ramona Probasco. Welcome back, Ramona. Ramona: Thank you, Dennis. Thank you, Bob. Dennis: She has written a book called Healing Well and Living Free from an Abusive Relationship. She is a counsellor, who has over 20 years’ experience in dealing with abusers and victims of abusers. Bob: —as we’ve already heard this week. Dennis: I wanted to just tell a story that happened to me, Ramona. I haven’t shared this with you, because I wanted you to respond to this. Dennis: Barbara and I were on a flight to go to a wedding earlier this year in Houston. We got off the plane and a woman came up to me—she said: “I heard your voice. Are you Dennis Rainey? !”—this happens occasionally. It doesn’t usually happen as it did in Houston; but she came up and she said: “My husband and I have been to the Weekend to Remember—we love the conference. Dennis: —that would sentence abusers to find help and hope around the gospel of Jesus Christ. That, not only made my day, it made my year. Bob: And this is a critical time of year for us, as a ministry. We need to hear from listeners in December; don’t we? Dennis: We do, Bob. I’d just like to ask the listeners right now—if you’ve benefitted from FamilyLife Today, would you make a generous donation and say: “I stand with you guys. I believe in this kind of radio for our nation”? We’re heard over 1,100 times a day, coast to coast. We’re heard around the world on the web; but to do that, we need you to stand with us, not next week, but today. Bob: Again, I’ll just say this quickly before we continue the conversation—you can make a donation, online, at FamilyLifeToday.com; or you can call to donate at 1-800-FL-TODAY. In the month of December, when you make a donation, your donation is going to be matched, dollar for dollar, up to a total of $2.5 million. We’ve had some friends of the ministry that have put that matching-gift fund together, and we want to take full advantage of that. In addition, when you make a yearend donation, we’d like to say, “Thank you,” by sending you a DVD of the movie that FamilyLife® produced earlier this year called Like Arrows. The movie is not yet available for sale—it will be out early in 2019—but you can get a copy today when you donate to support this ministry. Make a donation, online, at FamilyLifeToday.com; or call 1-800-FL-TODAY to get your copy of the movie, Like Arrows. Thanks, in advance, for whatever you’re able to do to help us with our yearend financial needs. Dennis, the story you shared about people getting sentenced to go through the Art of Marriage—there is hope for people who are experiencing domestic violence; but at the same time, I know Dr. Ramona, you quote—what is it?—99 percent of people, who are involved in domestic violence, never break free from that cycle. Bob: Now, there’s one percent—there’s repentance that can happen in somebody’s life. Bob: For somebody, who’s in an abusive relationship and longing for the idea that their partner—by the way, as you said, this could be a husband, who’s being physically abused by his wife; right? Ramona: —or verbally, or emotionally; yes. Bob: Right. They hear that statistic—that robs them of any hope. Is there hope for somebody? Should they even hold on to hope? —and, actually, that statistic came from the Family and Child Abuse Prevention Center—that one percent of abusers do the deep work of changing. The National Domestic Violence Hotline also says that, statistically, it’s very, very low. Dennis: I’ve had the same thought. Ramona: —you know, and to really see and to ask their partners what they’re experiencing; because it’s about changing the way you think. It’s not just changing how you act—we have to change how we think, which will change how we act. Repentance is heart change, and it is a mind change—changing how I think. When repentance occurs, it’s obvious—you don’t question it. It’s evident in the fruit of the person’s life, and it’s lasting. It does—it takes deep work to really address the way a person thinks to bring about these kind of changes. Bob: There’s a difference between sorrow and contrition and repentance. Ramona: That’s right; that’s exactly right. You can feel bad you’re caught; you can feel bad there’s consequences, but what are you doing with that? Often, what people are looking at—what you just described there—is the honeymoon phase. It’s not repentance; it’s the honeymoon phase. It’s going to circle right back into tension building and then another explosive incident. Bob: Right; so if there’s been a pattern of violence—and a husband is contrite, and you start to see what looks like behavior change—it looks like he’s thinking differently—when do you start to trust that that’s safe again? Ramona: That’s one of the consequences that someone, who chooses to abuse, has to realize—that they may have damaged the ability for that person to feel like they can ever fully trust again; you know? That trust may never be able to fully be put back into place. That can be, often, a consequence. Bob: —and then works out his salvation with fear and trembling; right? Dennis: Exactly; and that’s kind of where I want to go for the rest of the broadcast. I want to talk about “Where do we start?” I want to go to your story, first of all, to explain to people where they start. Ramona: I had to Google “cycle of abuse”; yes. Ramona: It’s not that I didn’t realize I was being abused—I knew what was happening was wrong—I just didn’t call it that. It’s like, when you give something a name, it changes things. Ramona: “Anger issues”—that’s a big one. It’s not about anger—we all get angry; we all don’t abuse—I always try to remind people of that. Breaking the silence is the very first step. Bob: You had somebody say to you, “This is abuse.” And it was kind of like: “I’ve never thought it was abuse”; right? Ramona: Right; she came across the phrase, “cycle of abuse”; and she told me—she goes, “I think this is what is happening to you.” That’s when I got up and I googled “cycle of abuse.” I realized I was smack dab in the middle of a pattern—I had no clue that there was a name for it. Ramona: No; I didn’t use that word. Dennis: It’s got, like what?—50/60 descriptive phrases of physical abuse. Bob: “Breaking furniture, throwing objects, breaking windshields. Bob: Ninety-five percent of these are marked. Ramona: I know; I know. I have that evaluation form in the back of my book. Now, it’s the very first thing I encourage the reader to do—is to mark it for herself or himself. I’ve actually added a section of “spiritual abuse” to this form—I just expounded on it. Dennis: —so that listeners could go and just take a look? Ramona: Yes; I think that would be great. Dennis: Print off a copy and check their own list. —you don’t want to ask this type of question or give this type of form when a couple is both present in the room at the same time. Dennis: To a church leader, who didn’t hear what you said earlier, what’s the incidence of physical abuse that’s taking place in the church today for men and women? Ramona: Right; the prevalence rates are the same, both in and outside of the church. Statistically, it’s one in four women and one in seven men will experience some form of severe physical violence in their lifetime; and one in three women, globally. Bob: You say that, when this is happening, couple’s therapy is not the place to begin. —because they need courage and they need relationship. Ramona: Right; what I believe the answer to that question is—is they believe them. They believe—that’s the best and greatest gift you can give someone, who exercises the courage; because it is so frightening to share this—because remember: Dr. Jekyll/Mr. Hyde—so in public, everything looks rosy. You’re afraid whoever you talk to/share this with is not going to believe you, because it doesn’t look like it. So believe them. Bob: Dennis mentioned bringing it out in the open. But before you bring it out in the open, you need to make sure you’ve taken the steps to be safe with the exposure of this in your relationship. Ramona: Well, by bringing it out in the open, I think what you meant, Dennis, is finding that safe person. Ramona: Sometimes, it starts with telling myself—admitting to myself—that this is not okay: “I can’t live like this; I won’t live like this. I need to figure what I’m going to do to get the help.” When you seek someone to share it with, I always encourage people to look for people that have worked on themselves too. Ramona: —and who is not going to give you just a pat answer: “Here’s two Scriptures. Call me in the morning,”-type thing. Ramona: —or trained counsellors. You know, I actually have now, on DrRamona.com—I’ve got a “Hotlines and Resources” page, where I have a ton of information for people to turn to—even state coalitions, where they can look to see what their particular state offers for help. You definitely want to work with someone who gets it. Dennis: If you’re going to be that shock absorber, you have to realize you’re dealing with a delicate situation, where some women today—in fact, I was shocked by this stat in your book—one in five have thought about and attempted suicide. Ramona: Yes; that’s right, Dennis; 20 percent of domestic violence—people, who experience domestic abuse—attempt suicide. No one ever asked me, Dennis—no one—none of my counsellors assessed—and they are great therapists; all three of them really helped me different ways—but no one asked me about that. That was something that I struggled with many years. I never said a peep to anyone about it. Please, if you are working with someone who’s gone through this or is going through this, ask them and connect them with the resources. Bob: You came to a point, where you left your husband. Was it a dangerous time? Ramona: It’s always dangerous when you are with someone who behaves like this. It’s unpredictable. What you can predict is some sort of inevitable harm, at some point. You just don’t know how it’s going to express itself. My story is—it was a six-year process. I actually said to Ben, “I want you to go for batterer’s intervention—to be involved in that group.” When I did, and I didn’t back off from that, that’s when he filed for a divorce—trying to get me to kind of back down from my boundary. With our own story, we were separate—legally separated and physically separated for three years—then, I took him back. Within four months of taking him back, he quit counselling, and he left to work overseas, and then had an affair. I explain to people: “You don’t’ wait for an affair.” You know, in my opinion, abuse severs the marital covenant; but in my particular story, that’s what happened. Bob: And as they listen to this conversation—men or women—I’m imagining one of two things is happening—either they’re getting kind of a tense knot in their stomach, and there’s a little anger happening; because we’re talking about them—they feel like they’re being exposed. They wonder who else is listening and “Does anybody know what is going on?” They’re starting to get angry and tense with that. Or it’s possible that the Holy Spirit’s at work. They’re hearing what we’re talking about and they’re going: “I know this is me. I don’t know how to fix myself, but I want out of the cycle that I’m in. I just don’t know how to get help for that.” Is there help for that? Ramona: Yes; there’s the same Holy Spirit for all of us. Regardless of what our particular situation may be, and what side of the tracks we may be on with this issue: “Jesus love me this I know,” for all of us. Bob: Where can they go to get help? Ramona: They can read my book to try to understand how their partner feels. Also, one of the authors that I just have tremendous respect for is Lundy Bancroft. He has written several really good books, but there is a book called Should I Stay or Should I Go? That book—in his resources, he has a handout that he encourages the person, that’s on the abuse sde/being abused, to offer to their partner. It’s an extensive handout for them to work through and do this deep work of really soul-searching and addressing their mindset. I have, on my website, also, a tab called “Clear Signs that an Abuser’s Changing” and “Clear Signs that an Abuser Is Not Changing.” I also have “Maneuvers that an Abuser Will Use to Keep You from Leaving.” It’s very important you educate yourself to know what’s real. Bob: —want to come and find your information, they can just go to FamilyLifeToday.com. We’ll point them in the right direction. Ramona: Thank you; thank you. Ramona: Ultimately, it is control. It goes back to wanting to have the power. There’s a lot of benefits—perks, if you will—to abusing. It’s like an adult-sized temper tantrum. I realized that myself, years down the road, that Ben was—these abusive incidences, regardless of their physical or verbal or however they showed up—it was him wanting to get his way. It was him throwing a fit—and very dangerous and very damaging to me and our children—and it’s not okay. Ultimately, they want their way. Dennis: —physically, not in a car, by a locomotive knocking him 40 feet in the air. He landed on his backside, ripping out his pants. He lived. He came back the next time, and God had gotten his attention. What I’ve said at Weekend to Remember conferences, all over the country: “God has a lot of trains. Dennis: “They may not be a physical train, but you don’t want to mess around with Almighty God. Dennis: There’s one other person I want to talk to—and that’s the listener, who has been—perhaps, they grew up in a home, where there was abuse, or they’re a survivor of abuse—and you’d like to provide help and hope to others. That’s a life-giving effort. I’d encourage you to get a copy of Dr. Ramona’s book, Healing Well and Living Free from an Abusive Relationship, and get engaged and involved with others, providing help and hope for them. Bob: We’ve got copies of the book in our FamilyLife Today Resource Center. You can order it from us, online, at FamilyLifeToday.com; or you can call to order: 1-800-FL-TODAY. 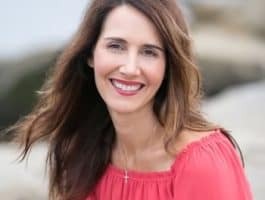 Of course, we’ve got a link to your website, as well; so go to FamilyLifeToday.com if you want more information about what Dr. Ramona is doing to help people in abusive relationships. Don’t forget—we talked about this earlier—as we head toward the end of 2018, we have a special opportunity available to us. Some friends of the ministry, who have put together a $2.5 million matching-gift fund—every donation we receive between now and the end of the year is going to be matched, dollar for dollar. Now, tomorrow, we’re going to talk about what parents can do to help our kids develop healthy relationship skills. Knowing how to form healthy relationships is a skill our kids need to learn. We’ll talk about what we can do, as parents, to help them with that. Barbara Rainey is going to join us, and we hope you can be back with us as well.